It is one of the most important sites of pilgrimage since the early Middle Ages, visited by emperors, kings, princes, and the holiest of saints throughout history. Today, it’s a UNESCO World Heritage Site and the destination site for over 2 million pilgrims a year. Why does the Sanctuary of Monte Sant’Angelo sul Gargano find itself over and over throughout Catholic history? The answer stretches back over a millennia and a half ago across four celestial apparitions. The Liber de apparitione Sancti Michaelis, Latin for “A book about the apparition of Saint Michael on Mount Gargano,” tells the story of the first three apparitions of the archangel in the grotto of Monte Gargano – today a Catholic sanctuary found in the city of Monte Sant’Angelo, Italy. The people living nearby Siponto established the custom of praying to God and Saint Michael the Archangel near the entrance to the grotto. The second apparition comes when the nearby pagan Neapolitans started a war against the Sipontans. The Bishop of Siponto asked them for a three-day truce, so as they may fast and pray for three days for the protection of Saint Michael. The night before the battle was to take place, the archangel again appeared to the bishop, ensuring them they would find victory in the ensuing fight. A footprint was left in the marble of the grotto-chapels north day, a sign the Sipontans took as a mark left by Saint Michael. Soon, those in Gargano were freed from the plague, and elsewhere too for anyone that held the stones, known today as Saint Michael relic stones. A Saint Michael relic stone from Monte Gargano. The Greek letter Tau, carved into the stone by Saint Francis of Assisi. Today, the Sanctuary of Saint Michael remains an exceedingly popular Christian pilgrimage site. 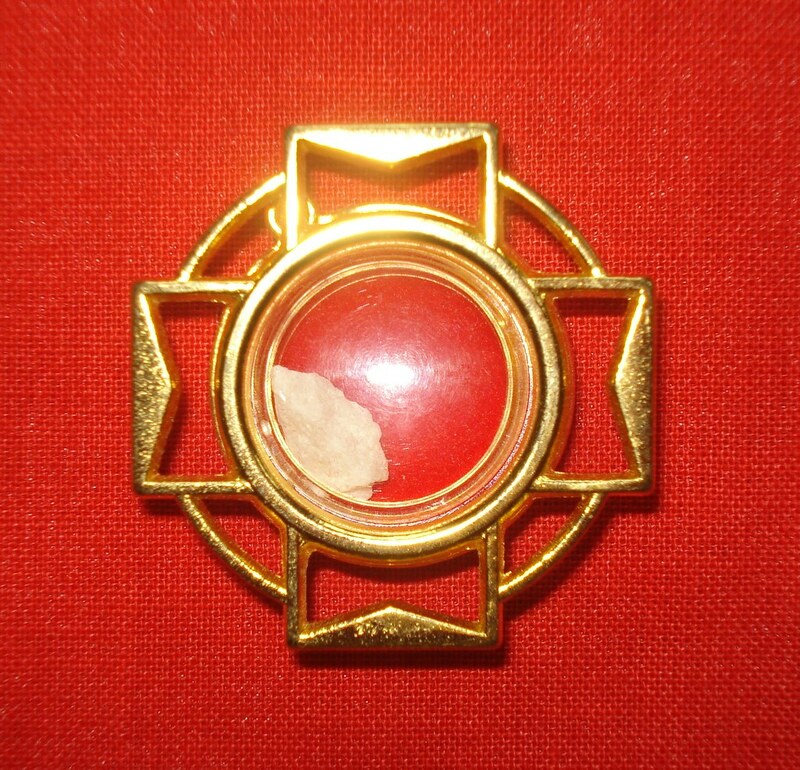 Pilgrims are able to receive Saint Michael relic stones, considered a powerful sacramental to invoke the intercession of Saint Michael the Archangel. St. Michael please save my son Michael. Bring him out of darkness and into the light. Let the evil that is surrounding him leave him. Bring him back to our Church!